Some Tibbits require an interrupt line. For example, on Tibbits #01 (simple RS232 port), #02 (universal RS232/422/485 port) the interrupt is used to detect state changes on the CTS line. This is necessary for the RTS/CTS flow control. Obviously, an RS232 port doesn't always need the flow control, so the interrupt line may not be necessary. Other Tibbits, such as #08 (Wiegand and clock/data reader port) must be wired to the interrupt line, or they won't be able to do their job. 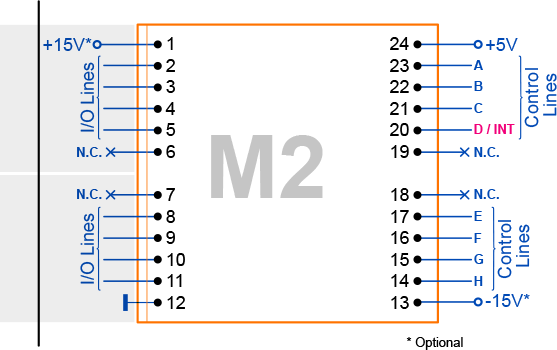 The TPP2 features six "M" sockets with interrupt lines, while the TPP3 has eight such sockets.